It’s been roughly around 4 and a half years since I last posted something here. Though my writing has been put on hold over here, I don’t think I have changed one bit – I still purchase a lot of makeup, travel to places other than Korea (YAS! Something new!) try out new looks, go with trends (or even veer away from trends), and lastly I think I have matured. But fear not, I have understood myself more, and even though I went on through my daily routines, experienced a lot of things, and traveled to many places, I have always kept thecultureninja at the back of my head. The momentary abandonment of this place has only cultivated to bring more things out to share to everyone. So here I am with a comeback post – an apology post stating that I’m well. I’m alive. And that I will be bringing in more things on the plate, and possibly changing a few things to welcome my return. Lately I’ve been sporting a different eye liner look from what I normally wear. I’m normally used to wearing winged eyeliner just because I thought that this would be best for my eyes shape. 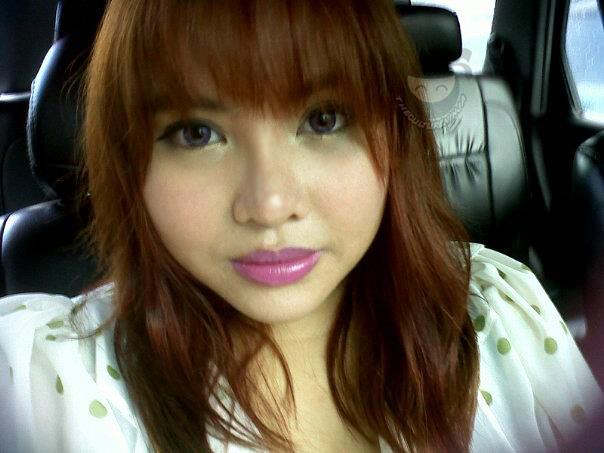 If I’m not wearing winged eyeliner, I normally do 얼짱 (eoljjang – best face) doll eyeliner. But I noticed how Park Sora does her eyeliner and it has intrigued me because I never do that type of eyeliner shape. This is a long overdue post. 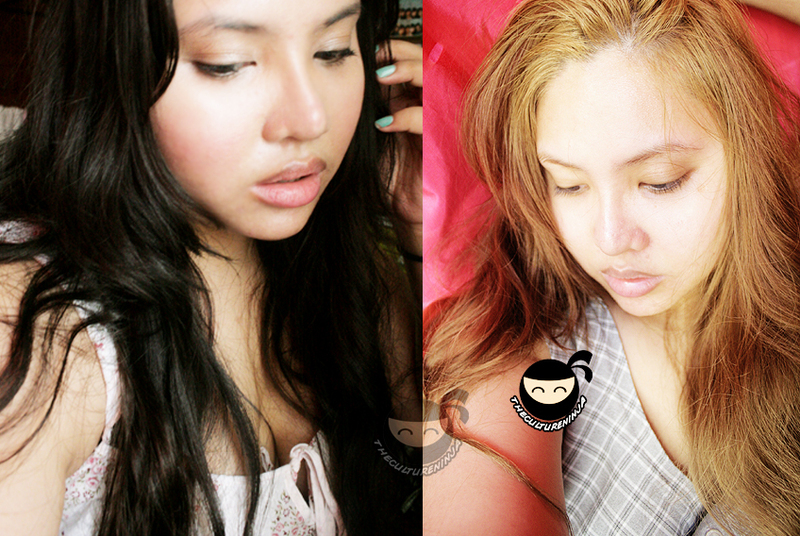 Tony Moly Philippines had a contest a few weeks back and I joined with the hopes of winning some makeup (Hihi. Lame I know. but who doesn’t love free makeup?). Aside from winning makeup, I get the chance to be featured in their August newsletter. Now that’s a good deal for something that’s fun to do right? I apologize for the absence and lack of posts my loves. What you guys don’t know is that I had my dSLR, tablet, and my everyday makeup bag stolen from me around May and I have lost a bit of drive due to the incident 😦 . I mean, basically those three things could be considered my life already and everything had to stop from then on. But then again, I can’t sulk for too long because material things are just material things and they can be replaced. I have so much memories with those things, but I realized I have grieved far too long and I need a fresh start. 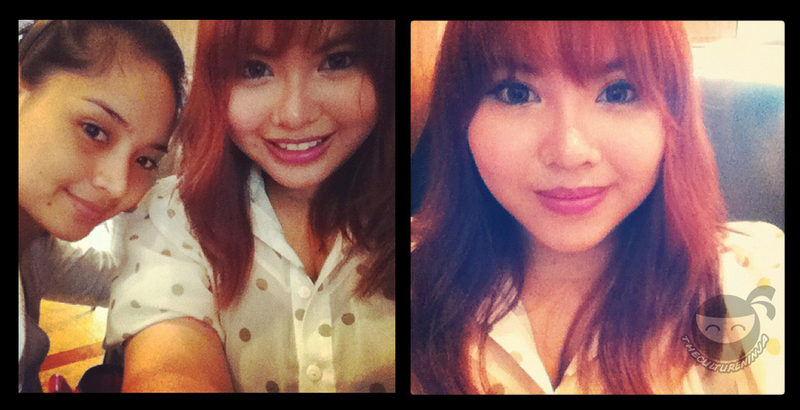 As you guys see from my recent photos, I have changed my hair style and color yet again for the nth time. I opted to have my hair cut because that amount of hair wasn’t doing my scalp any good and the ends are so dry that I decided I need to chop the burden off. I had my hair cut at a Korean salon named “Chic Hair/시크 헤어 Salon”. Selina cut my hair and was so dumbfounded when I told her that I’m giving her ultimate freedom to do whatever she can do to my hair as long as she can get rid of my “excess baggage”. She was constantly worried about cutting my waist-length hair and endlessly claiming that it’s such a waste of good length. But I knew I had an agenda the moment I stepped in the salon so I urged her and coaxed her with such assurance that it must be done. The end result was a layered mid-length cut and I have to say it feels so refreshing to lose that much hair! Not to mention my head feels extra light without the weight. :p My hair has been dyed a red color but has faded into this auburn color. I have a lot of roots showing up at the moment, but I have to decide whether or not I will have it colored a lighter ash-toned blond or go back to black. *Chic Hair Salon is located at Unit 203 Continental Court Condominium, #47 Annapolis St., Greenhills. 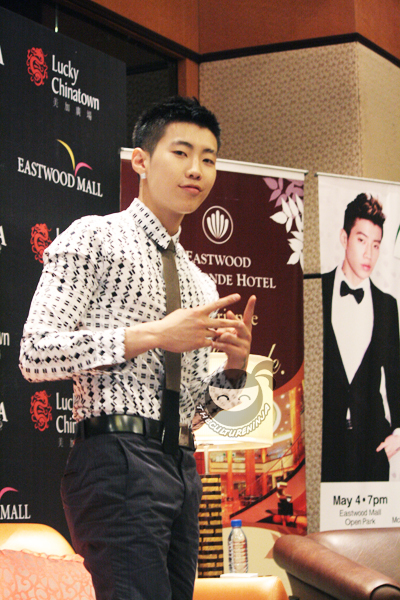 Everybody knows I’m a huge Jay Park fan. Meeting him two years ago in a small radio booth while I was a training student radio announcer and trying to stay as calm as possible in front of his bulky muscular goodness while trying to hold in my spazzing is one of my favorite memories. Two years later it is much calmer as I don’t have to pretend that I’m a sane teenager being as professional as possible. This time I’m a fresh grad with my friends at his showcase watching him spit out those menacing, fast-paced raps and make everyone swoon with his smooth moves and sweet voice. Hair Tales: Going Blond and Sticking with it! Today I woke up to the feeling of missing a specific place. After spending a few minutes just trying to figure it out, I came into the conclusion that I’m missing Garosugil. Garosugil is a district in Sinsa-dong in Seoul. It has the trendiest shops and boutiques that are mostly ran independently and a few cafes lacing through the whole road. Whenever I visit Seoul, I make it a point to meet my friends to have brunch at Garosu or try to at least go on solitary afternoons finding a good cafe or pastry shop where I can enjoy people watching for a bit. Most of the time it is Good Ovening Cupcake shop or Coffeesmith. What I miss the most about Garosu are the trees along it which adds to the aesthetic value of this place. 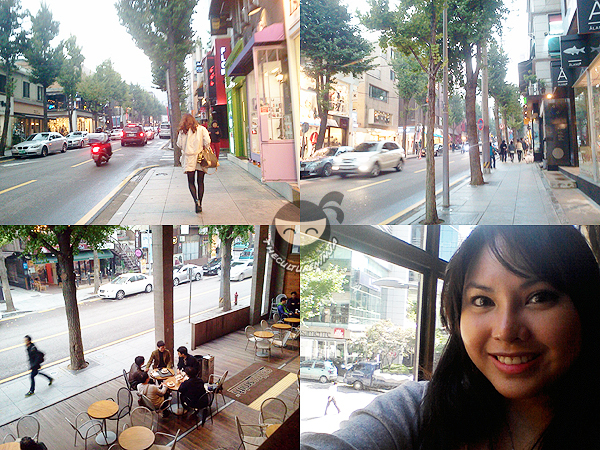 I never seem to get bored here (not like there’s a place that’s boring in Seoul in my opinion :p). The stores are really well designed and are very cute as if everything is inspired by springtime. I recommend Garosu if you guys have some downtime during your trip to Seoul because it’s the perfect place to just casually take a stroll to check out stores or have a cup of coffee and some pastries to relax. 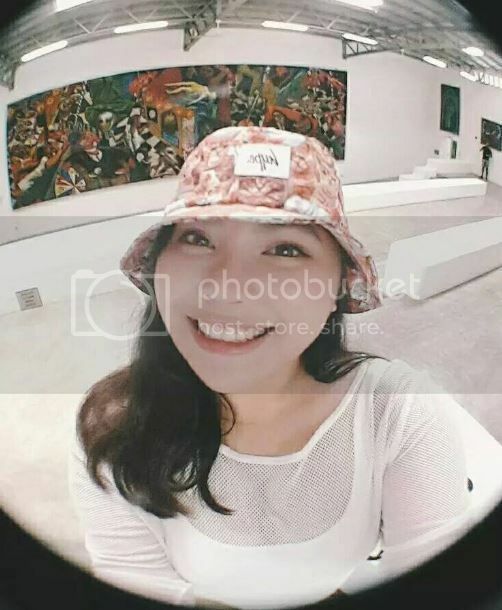 To let you guys know what Garosugil looks like, I have a few photos and a short walking tour video on it to share to you guys. I hope you enjoy! more photos and a walking tour vlog under the cut!